Xiaomi is launching a new program dubbed Mi Explorer for its Fans that will take them to Spain - all expenses paid - for a new phone launch. 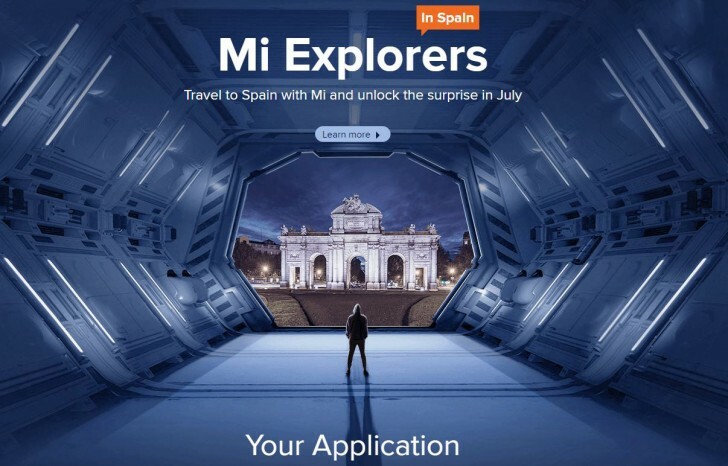 Those who enlist and are chosen in the Mi Explorer program will get an unannounced device they'll use exclusively and attend its unveiling in Spain. The device will be yours to keep after its announcement. The program will accept entries from June 26 to July 1. The chosen Mi Fans will travel to Madrid on July 23 and return on July 26. The device that will be featured in the program and announced in Spain is likely the Xiaomi Mi A2 - the Android One-powered counterpart to the MIUI-running Mi 6X. We expect the Mi A2 to launch quite soon. There's also talk of a Snapdragon 625-powered Mi A2 Lite that could launch alongside the Snapdragon 660-powered Mi A2. Maybe they gonna a usb type C,better selfie camera ,multi color notification light in mi A2 lite? There's no A2 Lite with SD625! It's the Redmi 6 Pro! Xiaomi model line is such a mess. They just can't decide.